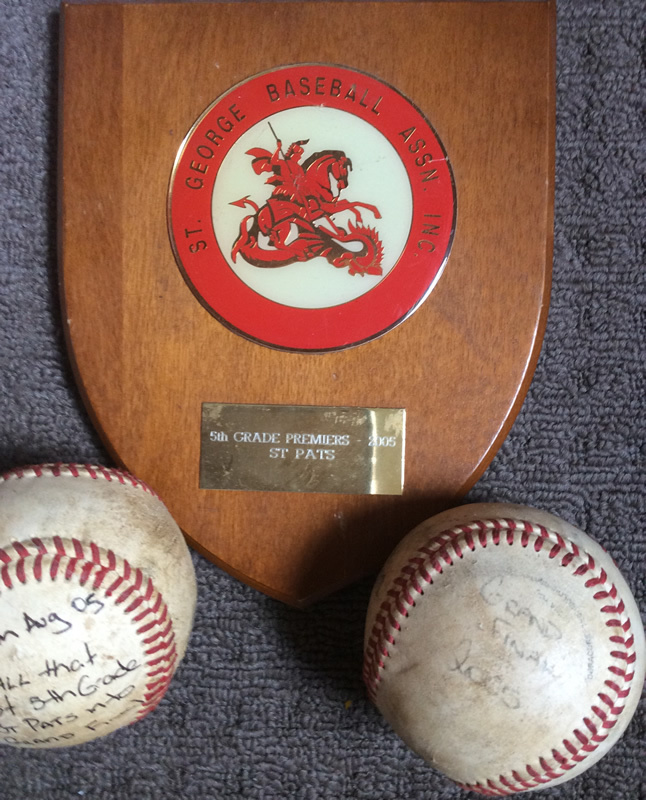 St Pats Baseball Club was first established as a baseball club in Sutherland in September 1966. Since its inception, the club has grown from strength to strength to the large "family" orientated baseball club it is today. 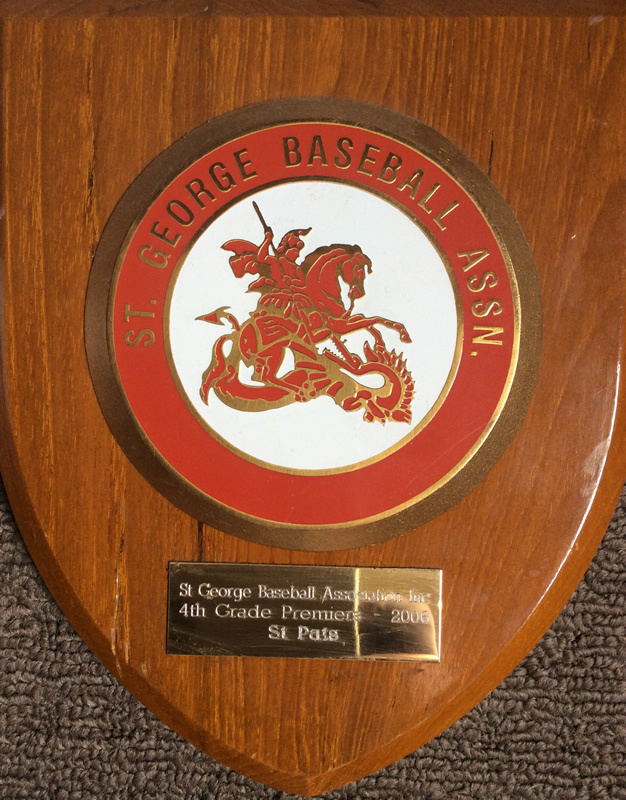 Throughout its proud history, St Pats Baseball Club has inspired its players to take pride in their club and uniform, and to do their best, both on and off the playing field. Ultimately, as junior players graduate to more senior baseball, they are encouraged to pass on their expertise and knowledge of the game by assisting with coaching, umpiring or managing of junior teams. 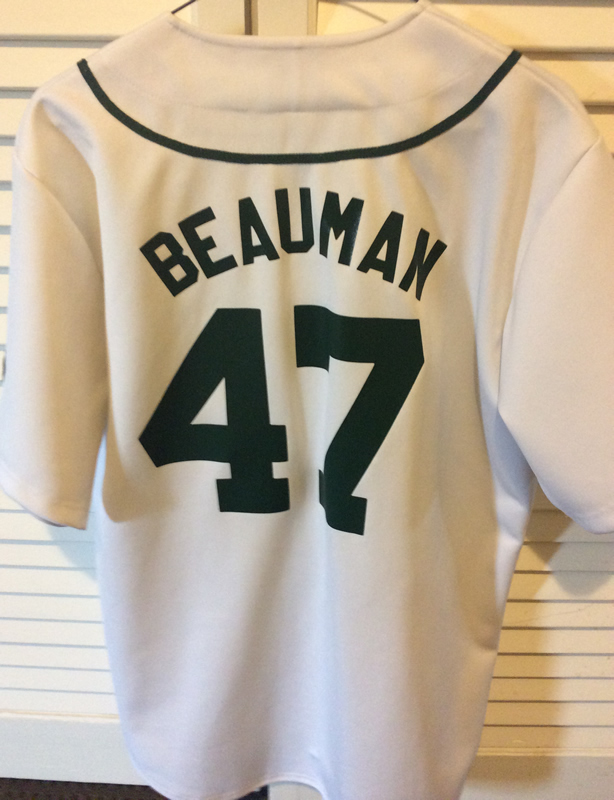 In this way, they assist by perpetuating the finest traditions of baseball under the black and green banner of St Pats Baseball Club. The club commemorated it's 50th year anniversary, with celebrations having commenced in the morning of Saturday, 10 September 2016 with 'season opener' styled celebrations at Waratah Oval, both during and following the first day of the junior baseball 2016/17 competition. It was a wonderful day! To further the 50th anniversary, a Patrons vs Presidents baseball game was then later played on Sunday, 4 December 2016 at Waratah Oval. Details can be viewed by clicking here. Finally, a gathering of past and present players and significant others was held on Saturday, 18 March 2017 at Gymea Bowling Club. A fabulous evening was had by all and sundry. Details of this event can be found by clicking the link at this page. Merchandise (including a club shirt), commemorating this auspicious 'golden jubilee' event, is still available for purchase. Orders of shirts may be made by clicking here and contacting Dusty Hughes. Likewise, there are still a limited number of 50th Anniversary commemorative St Pats Water Bottles available for purchase from the Waratah Oval Canteen for only $5 each. Click here to read earlier news articles about the Club's 50th Anniversary celebrations, baseball and more! Click the link below to view historical lists of the club's past and current officers and executive committee members. Click the link below to view historical documents provided by Phil McConachie. 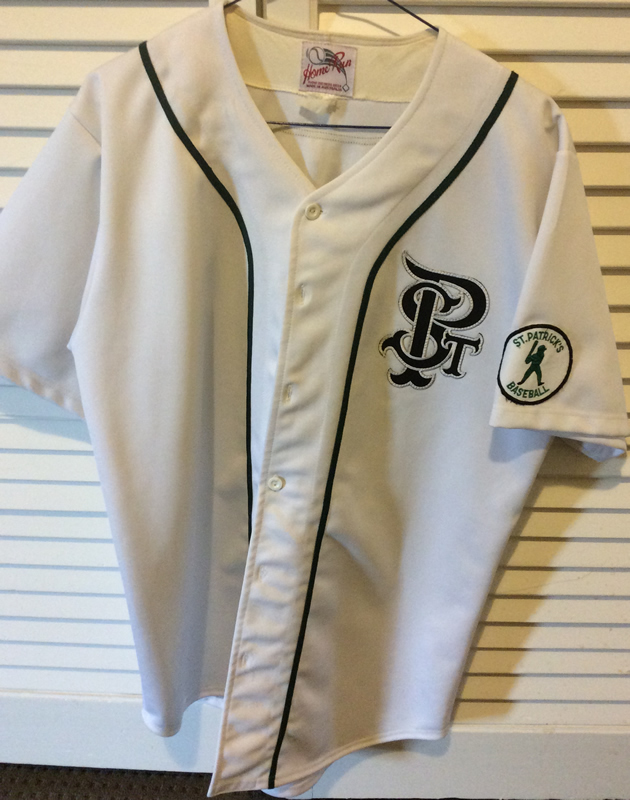 The St Pats uniform originally comprised of a white playing shirt with green piping and white pants! 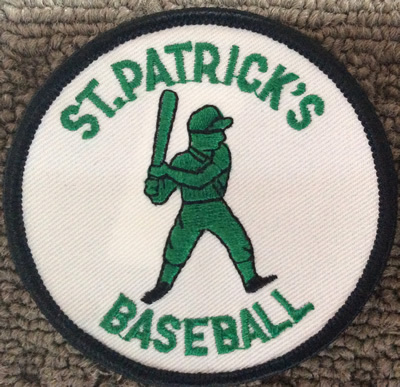 The sewn on badge was worn by senior baseball players back in the day when the St Pats uniform comprised of a white playing shirt with green piping and black pants. The baseball to the left was used to play in the 2005 final game. The baseball to the right was used to play in the 2005 grand final game.